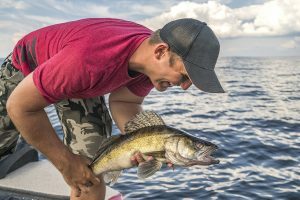 Saginaw Bay walleye are being caught including limit catches were taken off Gambil’s Marina near Pinconning. 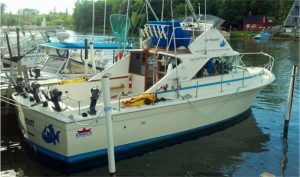 Boats were trolling body baits off planer boards in four to six feet. A purple flicker-shad was the hot lure. 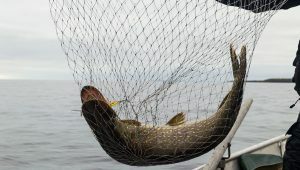 Walleye were also being taken off Linwood in 18 to 22 feet, around Spoils Island, and off the mouth of the Kawkawlin River. Some walleye were caught in the Quanicassee River in eight to 10 feet. Shore anglers on the river caught a mix of catfish, freshwater drum, sunfish, crappie and the odd perch. Walleye fishing was spotty off Sebewaing and in Wildfowl Bay. 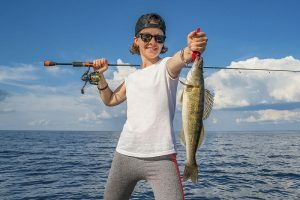 Saginaw River walleye were still being caught in the lower river from the mouth upstream to the Coast Guard Station by those trolling or vertical jigging. 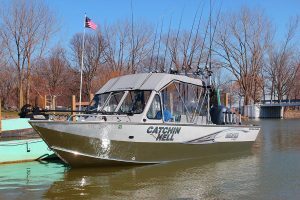 Shore anglers at Smith Park caught a mix of catfish, freshwater drum and smallmouth bass on crawlers. The river was a bit fast and muddy after the rain last week. Tittabawassee River fishing was good with walleye and white bass being caught. Rain in the forecast will once again raise water levels and slow fishing for the weekend. 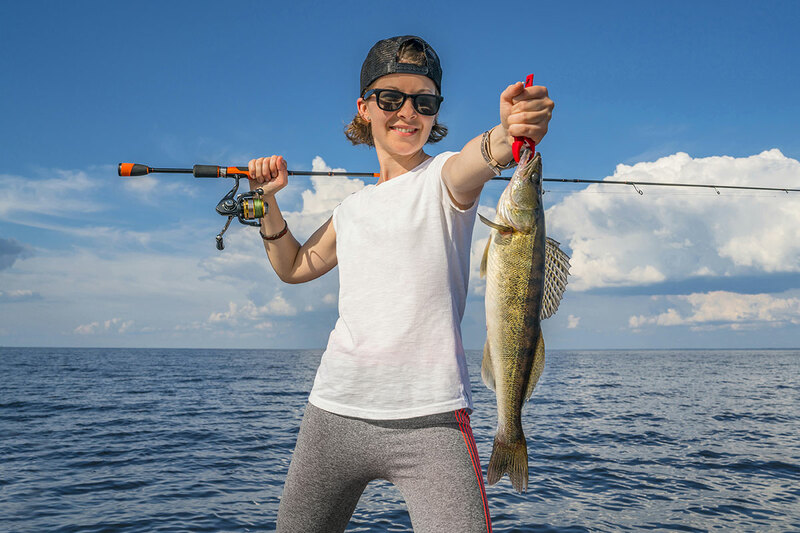 Oscoda boat and pier anglers found walleye, lake trout, and a couple Atlantic salmon when still-fishing minnows or casting deep diving crank baits, jerk baits, and spoons at the mouth of the river. Silver, blue, clown, and rainbow were good colors. Jigs and soft plastics have also taken walleye and a few smallmouth bass. The walleye bite was best in the evening. Au Sable River was warming fairly quickly and temperatures were in the low 50s. Steelhead and a few white suckers were caught when drifting spawn, beads, wax worms and nymph or yarn flies. Those casting plugs have also taken steelhead. Actively feeding fish can still be taken from the holes. Streamer flies and plugs should become more effective as the water warms and fish begin to drop back. 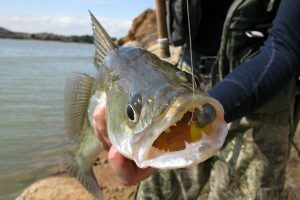 Walleye and smallmouth bass were caught in the lower river casting crank baits or drifting minnows. 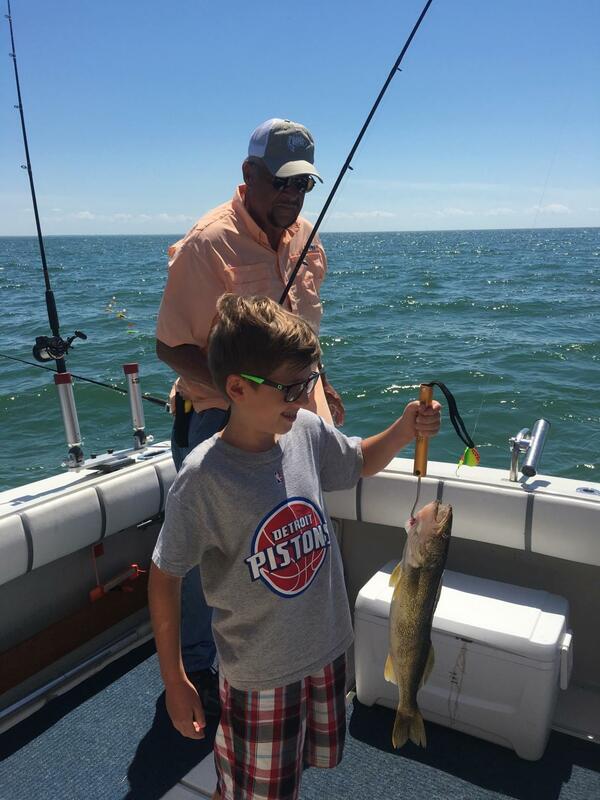 Tawas Area those fishing the docks caught some nice walleye. Cast out far ahead of you to prevent the trout from seeing you. When wading, do so carefully and avoid rapid movement which could spook the fish. Don’t wear any shiny objects; including watches or tools on your vest. Stay away from wearing bright colors, stick to dark browns and greens. Remember that trout usually face into the current so cast upstream. To learn more about fishing for trout, visit informational page on the DNR website.